A few years ago, I tried almond butter and thought the world couldn’t be any better. I much preferred the taste of natural almond butter to my old stand-by Jiff peanut butter. One trip to the store, they were out of my beloved almond butter and I almost reached for the Jiff. Then I saw natural peanut butter and gave it a shot. It didn’t take me long to realize that I loved it as much as I did almond. And it was all because of the sugar in Jiff. Since when do nuts have sugar in them?? I grew up eating boiled peanuts and cracking pecans at Christmas. Neither of these have sugar in them. My peanut butter shouldn’t either. Nor my almond butter. So for the past few year or so, I’ve alternated between almond and peanut butter and I’ve been extremely happy. 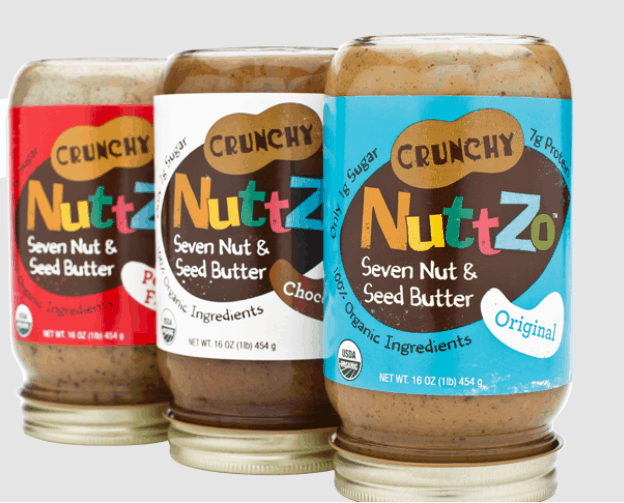 When NuttZo offered to send me sample jar of their Original Seven Nut and Seed Butter, I thought I should try it. It’s time to branch out from the plain almonds and peanuts. Before I tried it out, I had to check out the ingredient list: Peanuts, almonds, cashews, hazelnuts, Brazil nuts, sunflower seeds, and flax seeds. That’s it. Nothing else weird or useless. No added sugar, either! What are the health benefits of a variety of nuts and seeds? Omega 3s in chia seeds which aid in cardiovascular, joint, and immune system support. Flax seeds have anti-viral, anti-fungal, anti-bacterial, and anti-cancer properties. I had no idea these tiny seeds packed so much power! Protein!! I can’t speak highly enough of protein. For more information, check out this page and do your own research. 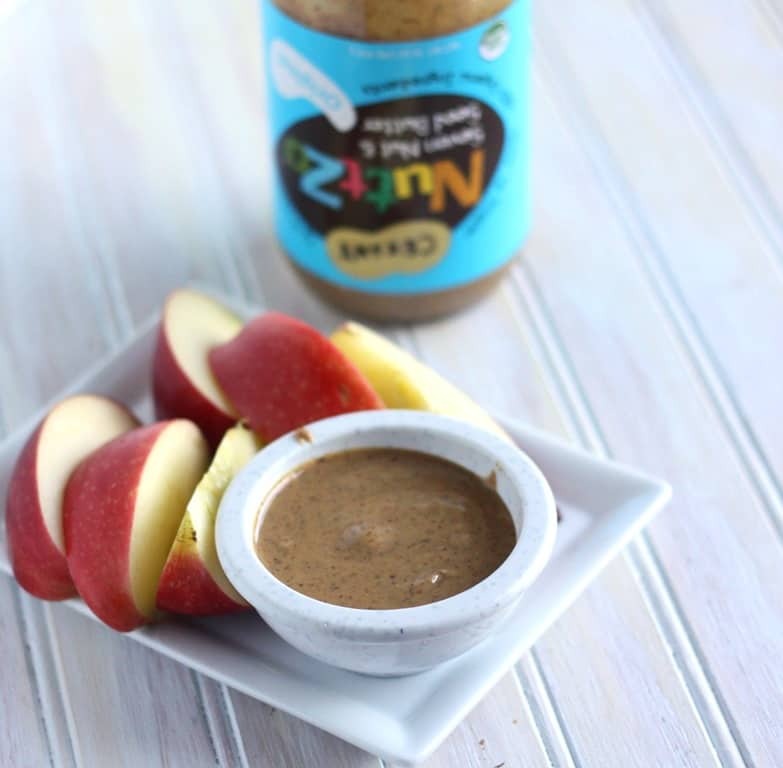 2 Tablespoons of NuttZo provide a lot of nutrition for active individuals. The consistency is very similar to almond butter. You do have to stir the jar the first time to re-distribute the oils. As with other natural butter, once you stir the first time, it should remain mixed especially if you refrigerate the jar. The taste is fantastic! I was afraid of a bitter taste with so many different nuts and seeds, but they blend together exceptionally well. You can get the hints of almond and peanut that I love, but the other flavors build on those. I was hooked with the first spoonful. Speaking of jars, NuttZo has just released their new glass jars. No more plastic, even though the plastic were PBA free. They have also redesigned the website and jar packaging. 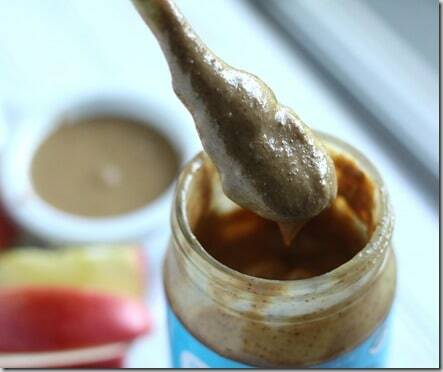 Other than the occasional NuttZo and fruit spread sandwich, I eat nut spreads just about every day. I now use NuttZo in my morning pre-workout shake. But my favorite way to eat it is plain and simple: apples. Instead of individual jars of almond, peanut, sunflower, hazelnut, or cashew butter, I can get all the nutrition in one jar of NuttZo. 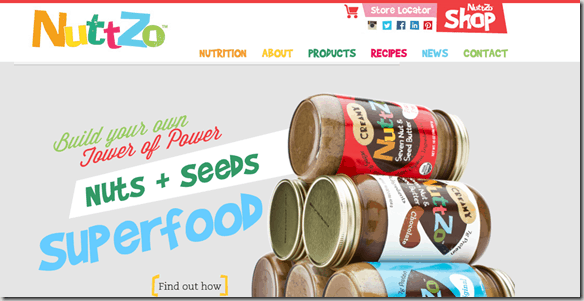 NuttZo was provided through Fitfluential, LLC. All opinions are my own. 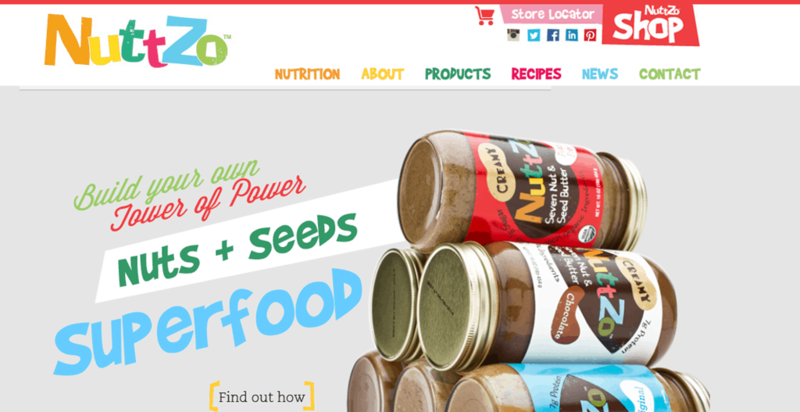 Nuttzo is available online and through Whole Foods Market and other retailers nation-wide. I just bought some of this at the store but have yet to try it, I’m pretty excited about it.